I work in Rioja Alta for a winery called Bodegas La Emperatriz. Bodegas La Emperatriz is a beautiful winery located in the border of Rioja Alta between Santo Domingo de la Calzada and Haro. 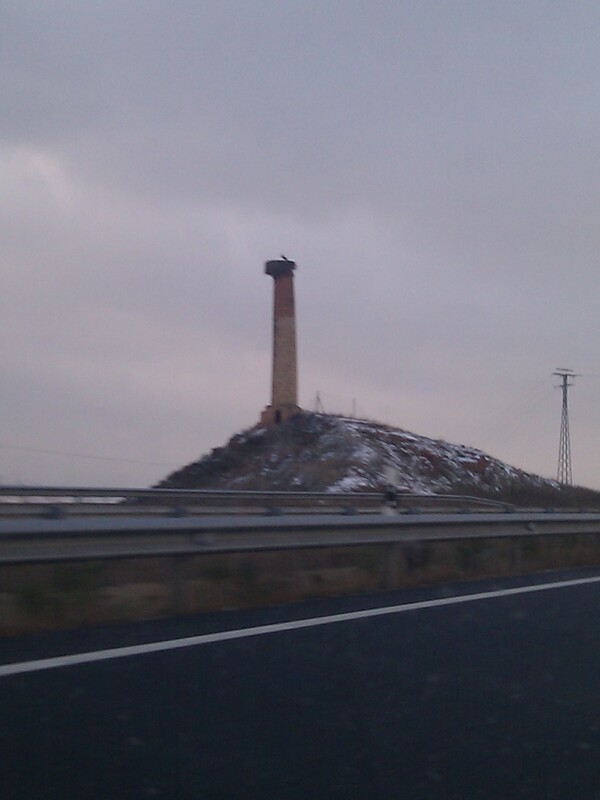 As it is outside of Logroño, it takes about 35-45 minutes to drive out there but the drive out there is beautiful and every day I pass two storks that have made their home on the top of an old smoke stack right outside of Najera. As I work in marketing, it is my job to work in Social Media, Media Planning, Market Planning and Analysis, Product Management, Advertising, Public Relations…name it, I do it. Interestingly enough, I was brought on initially to work in Exportation. I work with customers overseas and as the orders come in, I process them and work with our production team and make sure we get the orders out on time and with the appropriate paperwork. Sometimes, the paperwork can be demanding and extremely time consuming, leaving very little time to do any marketing but that is what makes it fun. I really do enjoy the changes in rhythm. I am never doing the same thing every day. Some days, I go out in the vineyards or to the winery and take pictures that we can later use for our customers or for marketing purposes. I also get a chance to work in the vineyard and in the laboratory with the head winemaker and vigneron. I really enjoy my work and love this region. I couldn’t ask for a more beautiful place to work. One day, I was out in the vineyard and thought it might be nice to share with you the annual growth cycle of grapevines here at Finca La Emperatriz. In general, it begins with the pruning at the end of February which leads to the beginning of bud break and culminates with leaf fall in autumn followed by winter dormancy. I will explain the process as we go and perhaps I can share a thing or two with you. If you have any questions, please let me know at sacreddropseeker@gmail.com. Thanks for joining me today at the Sacred Drop Channel. This entry was posted in About Sacred Drop, Understanding the Vines, Winery Visits in Spain and tagged Annual growth cycle of grapevines, april hennig, La Rioja, Logroño, Product Management, sacreddrop, Santo Domingo, Santo Domingo de la Calzada, Social Media, Storks, Work Vineyard. Bookmark the permalink.